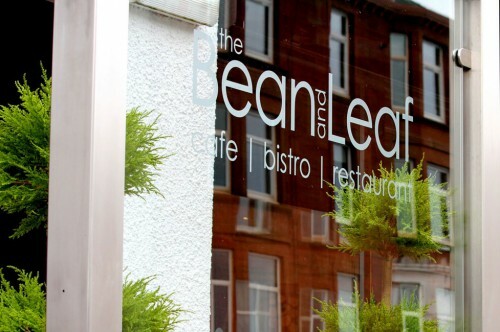 In the heart of the picturesque town of Largs, you will find the family-run Bean and Leaf. Situated next to the town’s main car park on the promenade, this restaurant is in the ideal position for a main meal or a snack throughout the day. This business is run by husband and wife team Maxwell and Madeleine Dawson along with a small team of friendly and efficient staff . Open daily you can have breakfast, pastries and coffee, through to light bites, casual lunches and relaxed dinners. Have a look at our service times. Visit Scotland has awarded us with their Taste Our Best accreditation, which recognises that we provide and promote quality Scottish food and drink. Our menu includes simply-prepared, delicious dishes that offer something for everyone using locally-sourced, fresh ingredients with gluten free and vegetarian options. Working closely with Scottish drink producers, we have expanded our drinks menu to include some fabulous craft gins, malt whiskies and craft beers. Come and try something new! We also serve a wide range of fine wines, all available by the glass. You can choose to sit inside or, when the weather permits, enjoy some al fresco dining on the terrace. Whether it’s a breakfast meeting with free WiFi, a catch-up with friends over lunch, a glass of wine or an early supper with family, The Bean and Leaf in Largs is the ideal meeting place. Together with their team of staff Maxwell and Madeleine look forward to welcoming you.